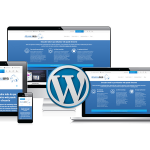 If you’re a business of any size, it’s a given that you need a website. However, just having a website isn’t enough ― you need one that performs. We’ve compiled these business website statistics to help you know how your site should look and what kind of functionality it should have. That’s a staggeringly low statistic, considering how critical websites are for lead generation and nurturing, if not for actual conversion. Having a website to direct social traffic to is key to any digital marketing campaign, so if your small and midsize business (SMB) hasn’t explored this channel yet, make it your goal in 2019. 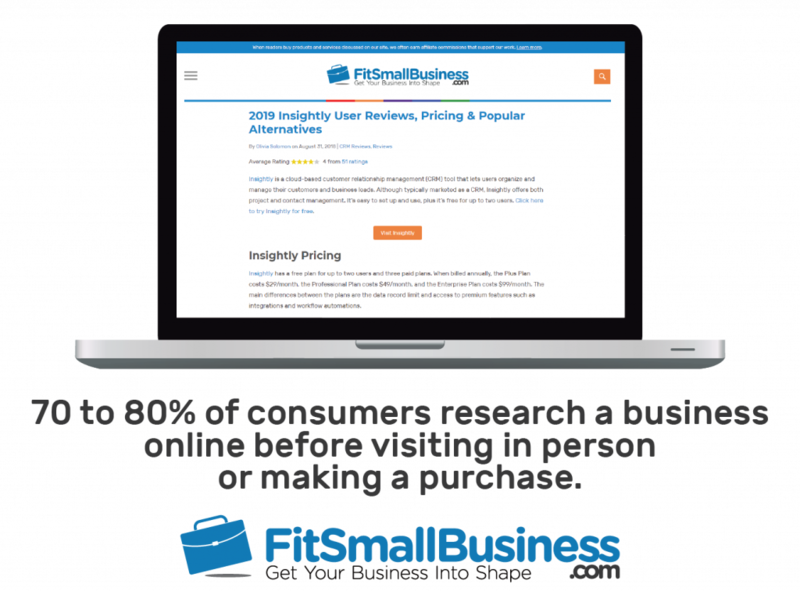 70 to 80% of consumers research a business online before visiting in person or making a purchase. 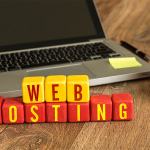 This is yet another reason that having a website is so important for growing your business. If you don’t have an online presence, you may lose potential customers. 38% of people will stop engaging with a site if it doesn’t have an appealing layout or design. Have you ever seen a website that was so out of date or difficult to navigate that you just bailed and went to a different site to find what you were seeking? This happens quite frequently, according to this business website statistic. Make sure your content is always updated, visually appealing, and intuitive so that visitors don’t immediately bounce. More than 50% of website traffic is brought in through a search engine. Google can be your best friend if your site is optimized to accommodate search queries. Search engine optimization (SEO) helps you get in front of your audience on various search engines, but don’t forget that pay-per-click (PPC) can be another useful aid and offset weaknesses in your SEO. In general, web page conversion rates range from 1 to 3%. If your website brings in several thousand visitors a month, a 1% to 3% conversion rate is significant revenue. This also means that if you boost your conversion rate by even half a percent, you’re upping your profits by a huge amount. 74% of conversion rate optimization programs improve sales. Do you test your website to see how you can increase conversion? If not, you should. There are plenty of online tools to help you heat map, A/B test, and measure analytics so that you can discover where your site can improve and streamline conversion. 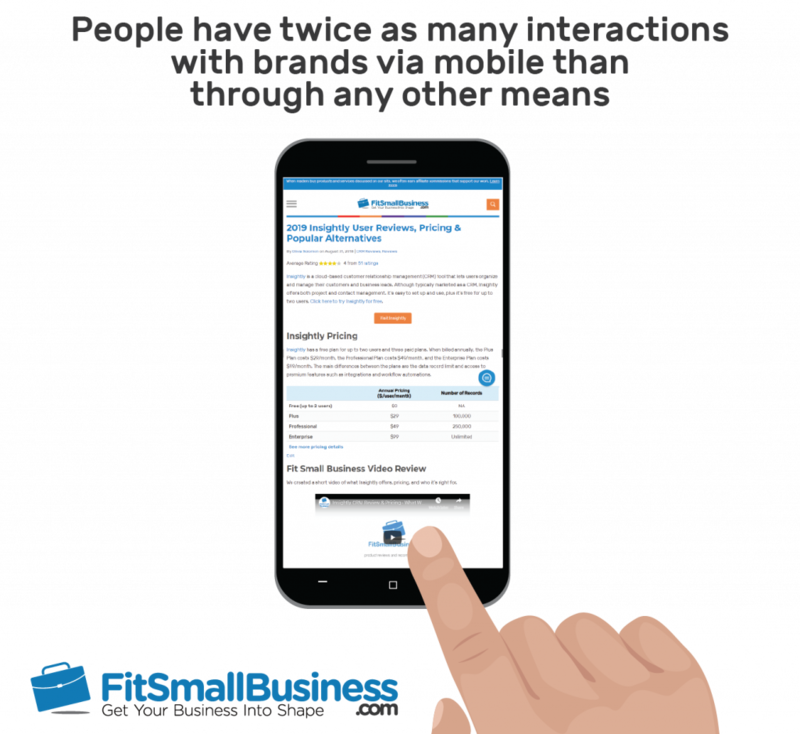 People have twice as many interactions with brands via mobile than through any other means. Convenience is king ― and nothing is more convenient than being able to access a company’s website while you’re already out and about. For this reason, having a website that is compatible with mobile should be a priority in your digital strategies. Shopify tops the chart as the most commonly used ecommerce platform with more than 500,000 active stores. If you’re in a business-to-consumer (B2C) industry, you may enjoy the flexibility of selling your products or services online. Knowing which platform can help you get the results you’re looking for gives you a leg up on the competition and sets you on the path to ecommerce success. 84% of people will not make purchases through an unsecured website. Speaking of ecommerce, even if your site is mobile-friendly, you won’t gain sales if your customers don’t trust your security. Having a secure website will promote trust in your audience while helping you achieve better sales rates. Consistent brand presentation across platforms increases revenue by up to 23%. From an aesthetic standpoint, having your brand imagery, language, and colors represented overtly on your website makes a strong impression on your viewers, which can even go so far as to boost your conversion and revenue. Longer landing pages generate up to 220% more leads than short ones. A web page where you don’t have to scroll to see a call-to-action (CTA) may be concise and to-the-point but, unfortunately, it’s not your best option for lead generation. Add enough content to your landing page to keep visitors’ interest and give them the information they need to know whether they want to continue interacting with your brand in the future. The average dwell time that visitors spend on a page that comes up in their Google search is 3 minutes. Your website is your first impression of your brand, and according to this stat, you only have about 3 minutes to make an impact. To increase engagement on your site, include a variety of content from video to blog posts and more that ensures that your copy is clear and consistent, and use images and design that are interesting but not distracting. 76% of buyers are willing to share their contact information in exchange for white papers. Knowledge is power, and in this case, it can be a very effective lead generation tool. Having gated content like white papers or ebooks on your website is a good incentive for viewers to give their email address or other contact information. Only 20% of people will read text on a web page, but 80% will watch a video. Video content is increasingly becoming one of the most effective and engaging content formats. Incorporate video into your website, and you’ve got one more marketing tool to create a lasting impression on your audience. For every second your website delays in loading, conversions may fall up to 20%. People have become accustomed to immediacy, and if your website can’t deliver quickly, you may miss out on opportunities. Choose a responsive website design that’s not so overloaded with content that it struggles to load promptly and test it regularly to ensure its functionality is on point. Smartphone conversion rates are up 64% compared to desktop conversion rates. This is yet another reason to go mobile. When your site goes where your audience goes, you improve your online presence and your revenue. Your website is the cornerstone of your digital marketing strategies ― all channels lead back to it. Using these business website statistics, make it a priority to have a website that exemplifies your brand but is also tailored to your audience’s expectations. With a strong website that streamlines lead generation and conversion, you’ll build your marketing strategies along with your business.